Earlier in my life I was a strong supporter of Israel. I wished to become a first generation pioneer with well-tanned and muscled biceps and calves, live in a kibbutz, and carry a rifle, clearing, tilling and protecting the land. Attacks by the Palestine Liberation Organization (PLO) on passenger airplanes and ships in the 1970s and the violence against Israeli athletes at the Munich Olympics repelled me. However, while in South Africa in the 1990s as apartheid retreated, I noticed parallels between Israel’s treatment of the Palestinians and South African apartheid. As I studied the situation more deeply I grew angrier and angrier, aware that my anger might explode and result in hurting myself and possibly others. Well then, Skip, with such strong impulses and your deep belief in nonviolence, why don’t you find something useful to do with that rage? Transform it into fuel. So counseled my still small voice inside. OK, I photograph, that’s my craft, and make movies, and write. 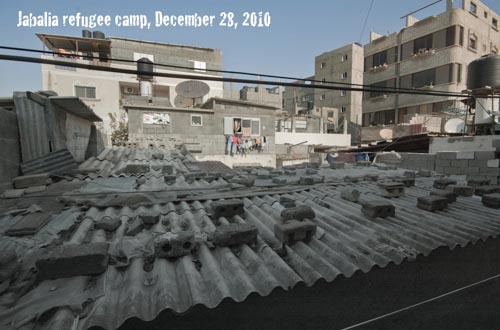 How can I apply my craft to what I now believed was the extremely unjust, immoral, illegal Israeli occupation and siege? And how can I be so certain of my newly formed understanding, so opposed to my earlier beliefs? But Palestine-Israel is a dangerous region, I’d not be safe, maybe I’d be caught in a terrorist attack or an army invasion. Don’t go alone, for your first trip. Find a group you can explore with, stated that inner voice, urging me on. I was on the edge. Clinching my resolve and hefting me over my fear, in 2002, partly responding to Palestinian suicide operations, Israel invaded much of the West Bank. Operation Defensive Shield utterly destroyed Ramallah, Hebron, Jenin, and other metropolitan regions of the occupied West Bank. I felt this so strongly that I feared—with two minds, one rational reminding me I lived in a relatively safe situation in Cambridge, the other frantic, persuading me I lived in the West Bank—the Israeli army would destroy my home. The next year, on March 16, 2003, an Israeli soldier driving a Caterpillar monster tractor bulldozed and murdered the peace and justice activist, Rachel Corrie, as she attempted to protect a Palestinian house from demolition. 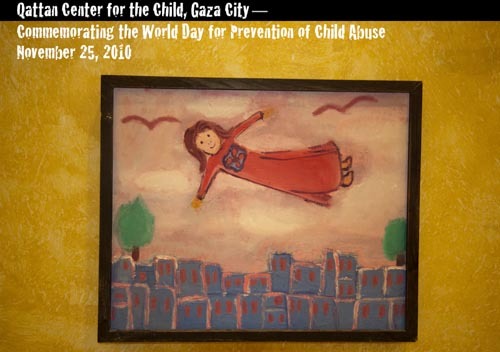 My hyper imagination, spurred by the martyrdom of Rachel Corrie, launched me. In October 2003 I first stepped foot in the West Bank with a Fellowship of Reconciliation delegation, my first of 9 trips so far. That began my work. What has sustained and I hope deepened it? Five major factors. First, close friends, Jewish and Palestinian, in many parts of that land of limestone and olive trees. I can only be truly with them if I return and share their experiences. Second, the eternal presence of Jesus, one of my primary teachers, as I live—albeit two millennia later—the land, the air, the water, the earth he lived and walked. Third, the Mediterranean light, which I wish to understand and use deeply as a photographer. Fourth, a Jewish friend I’ve become close to, sharing her fears about a loss of protection of Jews in Israel and everywhere, including in our own country with the possible recent eruption of fascism and anti-Semitism. Fifth and finally, Jewish Voice for Peace (JVP), mostly young, chutzpah-filled Jews who object to and struggle against Israel’s occupation and siege. 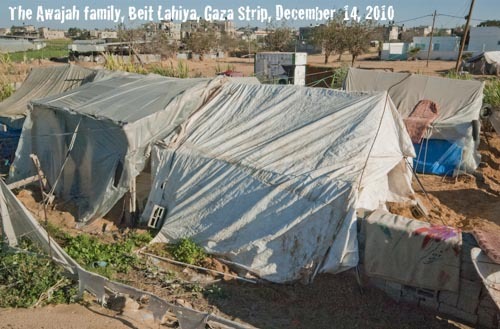 I, JVP, and a growing number of others call for BDS—Boycott, Divest, Sanction—a position many Jews vociferously reject, while state legislatures and the congress pass laws criminalizing this form of nonviolent advocacy for Palestinian rights. I have found my comrades. My Jewish woman friend and I, despite divergent views on the general topic, find some common ground thru the fervent application of compassion—and agapic love. Along the way I’m learning about Talmudic thinking, which I understand is the practice of holding multiple, apparently contradictory truths simultaneously. This has allowed me to more fully appreciate seemingly conflicting points of view. November 12-13, 1960, some 1000 Quakers vigiled at the Pentagon against nuclear weapons. I need Talmudic thinking with another of my core communities, Quakers. We exhibit many points of view, few supporting BDS, but we work together, united by common traditions and beliefs, feeling ourselves family. Working with my Quaker family helps me daily to try to understand varying points of view while not allowing myself to lapse into deadly silence. In fact, my local Quaker meeting, Friends Meeting at Cambridge, and another of my core communities, the Agape Community, a lay Catholic nonviolence community in central Massachusetts, along with my biological family and JVP, extend my network of faith in action. We hold each other accountable, we support and “elder” (using Quaker terminology) each other, that is, lovingly differ with and teach each other. A great wind is ablowin and I expect it will eventually result in the salvation and renewal of that land called Holy. Currently I attempt to link Detroit and Palestine via water justice. I’m part of two New England Quaker teams, local and regional, advocating for freedom, justice, peace, security, and reconciliation between Palestine and Israel. Talmudic thinking is summed up in the phrase “Turn and turn the Torah.” When an answer is developed, it is not the end, but only the beginning of a new question. The Talmudic way of thinking is the seeking of ever-new ways to see. It is the practice to seek ever new ways to think of Torah…. The city as a living entity with it being an environment for—and in turn, an environment being created by—the people who give it heart and pulse. I will observe, with intimate photographic scrutiny, these individuals as I encounter them during participation in the daily life of the city. (Yet, I will respect their ethical right of non-invasion of privacy.) Unlike other essays of mine, such as The Nurse-Midwife, I will not, this time, (photographically) know any individual as a complete person. For the individual, in my present essay, is a part of the teaming into the teeming whole that is the city, singular, and—Pittsburgh, the City of, is my project and is the individual to be known. Accounts from my journal, written while I photographed Detroit for three weeks during the end of summer 2016.
this may be my last email to you until I’m home (or maybe one enroute on the train). i leave tues evening, arrive wednesday evening, inshalla, as they say, god willing (or the train and its staff willing and able). weatherwise, i think you’ve been spared the hot weather that has afflicted detroit and southwest michigan. your region [in New England] apparently continues to suffer drought but here there’s been ample rain all summer. I’m mindful of this because 1. i love weather and once aspired to become a meteorologist, trained at mit, 2. I’m a gardener with paternal “roots” in iowa farming families, 3. food quality and prices and farmers in new england have suffered, and 4. i worry about climate generally…. 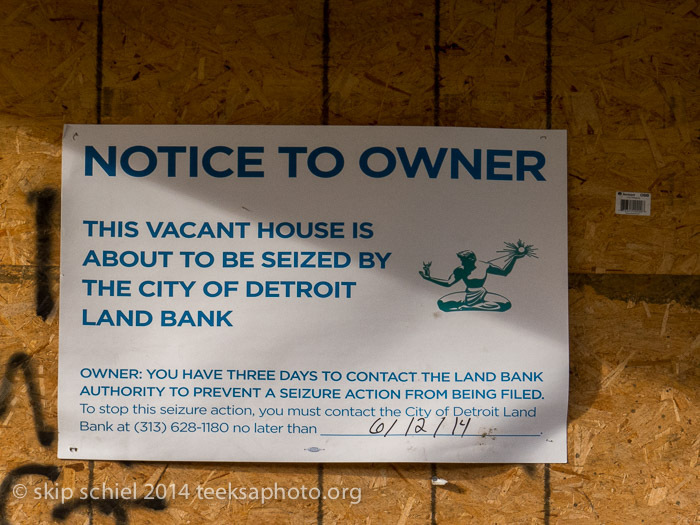 my last days in detroit have been frustrating. today, for instance, i was to have photographed johnny, my next door neighbor, in his buffalo soldier uniform from the civil war on his horse (he’s a re-enactor). but at the last minute, after days of delay, he announced, a friend of mine, a vietnam brother (johnny is a vietnam vet) is in hospice and i need to visit him. plus, my neighbor across the street, anthony, known as “little anthony” to distinguish him from his father, never showed up for our appointed portrait-making session this afternoon. i’d photographed him and johnny on previous trips. there’s still tomorrow and tues.
counteracting these disappointments, S, this morning at a quaker meeting we commemorated the 15th anniversary of 9/11. movingly, simply, with personal reflections by two people. where does faith come in? i believe we may be on an upward trajectory and that widespread, international resistance with a call for renewal can be effective. textron [manufacturer of cluster bombs and components of nuclear weapons in wilmington ma, near my quaker meeting in cambridge], which you remember our meeting vigils at monthly for going on 7 years, recently announced they will end the manufacture of cluster bombs (next march). i have faith that our little vigil series affected this decision, along with many other larger, louder groups protesting textron. ditto, for now at least, about the north dakota pipeline, resisted by thousands of native people and their supporters. i have faith; i believe that such actions can be productive. well, S, enough from me. i wonder what you think about faith, in your life, and generally. see you soon i hope. A mouthful, for sure. Perhaps I intimidate her or perhaps—my hope—I inspire her. Other than the disappointments yesterday and the grand Birmingham Quaker Meeting (in Berkeley—a strange confusion of place names, not Birmingham Alabama but Michigan, and not Berkeley California but Michigan) with the subsequent business meeting that I attended for the first hour only (to return home for the assignations that never occurred), I’m still uncertain about the quality of this trip, the photographic quality. Is Billy correct in writing, “safe,” meaning not too digging, not too provocative? I need to ponder this. One example of safe might be my experience yesterday riding home. Al at the meeting, keeper of the gate, an old wizened limping black man, showed me the kits that Song and Spirit folks, a Franciscan Brothers’ facility rented by Birmingham Quakers for their Sundays, distributes to homeless persons. Consisting of cap (fleece or baseball, depending on the season), gloves (light or heavy depending on season), and toiletries, I took two, and later gave them to 2 black men who I thought might need them. The older of the two accepted the kit gratefully, extending his hand in thanksgiving, the younger said, I don’t need this but I will give it to someone who does. Both were very appreciative. Why didn’t I photograph them? I might have, and they might have agreed, in part because of perceived obligation. But I didn’t. Was I too timid, or did I respect their humanhood and in the case of the older man did not want him to feel obligated nor chosen because of his condition. I carried the camera over my shoulder, in plain sight, and they might have noticed and asked to be photographed. Which happens periodically (as at the bike store recently, which led to what I hope are some decent photos). I might have photographed Al. This case differs from the above. No obligation to say yes, and not picking him because of his dire condition. But I just never found him in the correct light or position or setting. Leaving I thought, a photograph of Al in front of the building?, but it never happened. 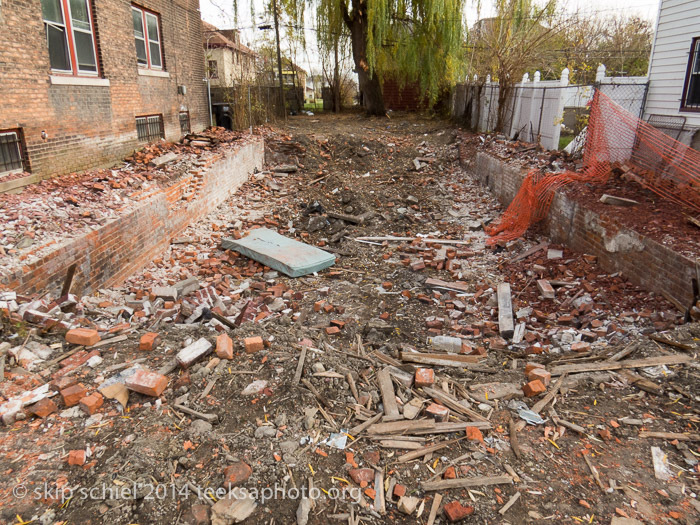 Instead I photographed what may have been the safer choice, the large garden behind the building that he told me about. Was this a good choice? Too safe, in Billy’s estimation? Such are the choices facing me regularly. We can do it, you know. We can get there. We can have it all. The Third Millennium AD can be the green millennium, the time in which we learn to live as responsible human beings at last. There is no law, natural or divine, which demands that the world we live in become poorer, harsher, and more dangerous. If it continues to become that way, it is only because we do it ourselves. I’ve long wished to join the series of actions at the West Roxbury lateral pipeline in Boston, which often includes civil disobedience. The actions attempt to stop a pipeline being laid thru land taken by eminent domain. The 5-mile pipeline is part of a 1,100-mile pipeline being built by Spectra Energy of Houston, Texas, and its subsidiary, Algonquin Gas Transmission in Waltham, Massachusetts, to carry natural gas from Pennsylvania. Some claim it will transport gas extracted by hydraulic fracking further south in the States for sale in Canada. This presents a multiple whammy. The process of fracking pollutes water and releases methane, making it allegedly more destructive to the earth than coal. While much of the pipe is under roads, causing little inconvenience except during construction, some pipe I suspect is under useful land snatched by the law, such as home and school lands. The gas in this high pressure line could explode and destroy buildings and lives along the route. In addition, as a final seal of potential doom, one stretch is next to a quarry where explosives are used to mine the rock. It increases the potential for gas leaks, already a major problem not only in Boston but widespread in the nation. It encourages more use of fossil fuel rather than emphasizing renewable energy. The action itself on Saturday, June 25, 2016, billed as running from 10 to noon, lasted until about 3 pm. It consisted of a rally along the pipeline route, opposite the quarry and the compressor station also under construction; a march of about 1/2 mile to the pipe laying site, blocked by a police line; another march of about the same length to the other end of the police cordon with a short vigil along a main road, Washington Street; and then some unscripted but highly anticipated activity. During all this, a smaller group of about 10 people who were prepared for arrest with their support people sniffed their way thru the warren of small country-like roads to the mid-point of the project. Searching for a way past the police who otherwise would block them, suddenly 3 men from this contingent who expected to be arrested, darted down the road past the police, onto the site, and soon were in the 10 ft deep ditch dug by a huge Caterpillar hydraulic mining shovel preparing to lay the pipe. Police hurried into the ditch, extracted and arrested the three young men, handcuffed them, and brought them to a curb where they sat awaiting the police van to be delivered to the West Roxbury police station. Where was I in all this, I the ever-seeing, or hoped to be the ever-seeing photographer, trying to be in all places at all times, hovering over the action, omniscient, omnipresent, a form of photographer god or angel, free to pass thru police lines with my magical fantastic credentials? I had been at the far end of the construction site, unable to see much about what happened at the site, casually photographing police juxtaposed with cranes and trucks behind them, when I noticed a flurry of activity. This included the only person with a large video camera and tripod. He must know something that I don’t; why else would he race away with all that heavy gear? I thought. So I followed, wondering whether I was about to photograph something important, or just go for a futile self-tour of West Roxbury. I call myself (usually not openly) an “opportunistic photographer,” that is, I often exploit opportunities presented to me rather than plan my work. 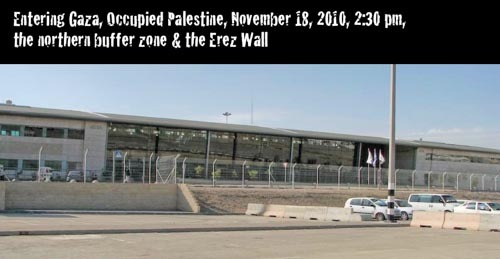 Entering Gaza in 2003 for the first time is one example. I failed twice to gain entrance and then happened upon an international NGO thru a friend and slipped in with them. 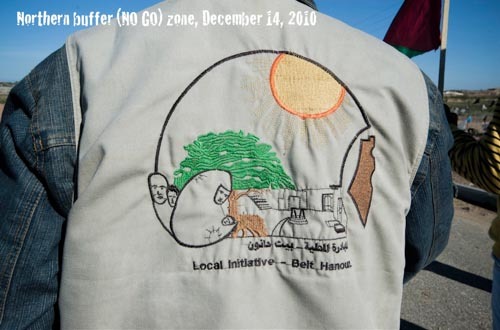 Or, also in Gaza, I was working with the International Solidarity Movement (ISM) when they told me they planned a trip to one of the most heavily destroyed parts of the Strip, called Zeitoun (the Arabic word for olive tree) to deliver donated winter clothing. I accompanied them and made nearly a day’s worth of photos. Waking up that morning I doubt I knew where I’d be later in the day. That is “opportunistic photography.” Or maybe a better word is “spontaneous,” guided by my muses which I pray to and thank every day. So I found myself virtually the only photographer at the most appropriate location to show the three young men, later a fourth, questioned by the police, searched, and stuffed into the police van. All close up. I did however miss their drop in visit to the ditch, trying to block construction, and the police response. This for other photographers, other opportunistic or simply lucky human beings with cameras. I do not work alone. The action continued. By the same backwoods route used by my predecessors who were arrested and their supporters,the group and I found a way to join others prepared for arrest. This included an older woman in a wheelchair, waiting for a long period under hot sun. Altho our numbers had shrunk, from about 90, we 30 or so constituted an ongoing vigil, observing the ditch making and pipe laying, pieces of an evolving national labyrinth which could contribute to disaster not only of this neighborhood but of the planet itself. As I write this, today (June 28, 2016) on Democracy Now a few minutes ago Amy Goodman broadcast a troubling report about extreme weather in the United States. Joseph and I did our business owners’ action earlier in the morning. They arrested Joseph immediately after crossing the police tape. I sat by the trench for maybe 3 minutes before they had me cuffed and taken away. No construction stopped. 30-40 people had come from western MA to risk arrest, but the police liaison made a deal with the police – protestors would approach the police line and construction would stop for an hour or something and there would be no arrests. I think they only ended up stopping construction for 40 minutes, but there were no other arrests. We were in custody from about 9:30 until perhaps 3:00. They brought us to precinct 5 and we were in a holding cell for about 4 hours while they booked us. Then they brought us to lockup/the courthouse, and two holding cells later we went before a judge who offered us the same deal all other pipeline protesters have been offered thus far: to convert the charges from criminal to civil ones so long as we are not arrested again in this same protest in the next 6 months. So our journey through the court system may or may not be over. 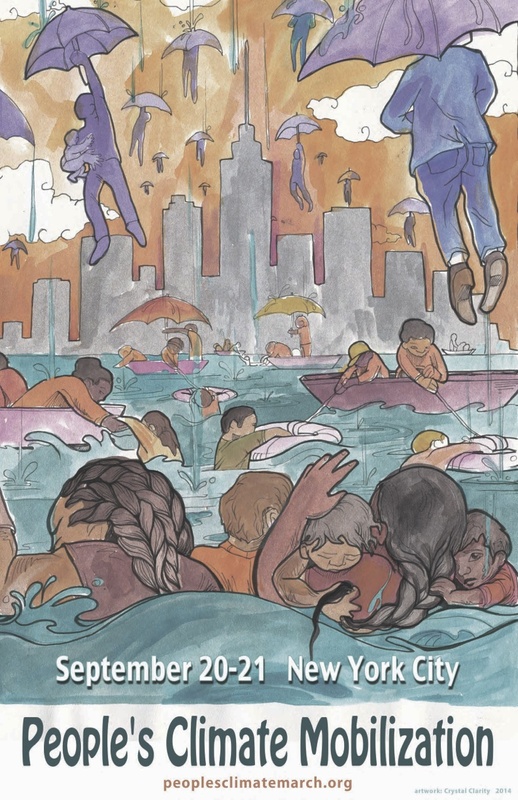 …I offered some Work That Reconnects practices including “bowing to our adversaries” at a conference two weekends ago at Pendle Hill on “Powerful Faith-Based Organizing for Climate Justice.” I have been feeling that piece a lot recently. Before the action yesterday, I had to pass through the construction site twice in search of a bathroom. I made a point of saying good morning to all of the construction workers and police officers. On the way back from the bathroom the sidewalk was closed, but an officer escorted me through and we chatted about the rain – I told him how much I appreciated it for gardening. I said “wow, this is a big project” (about the construction). He said “yea, some protesters are not happy about it.” I didn’t tell him I was one of them… Maybe next time. Cool, upper 30s, 80% cloudy with altocumulus, calm. 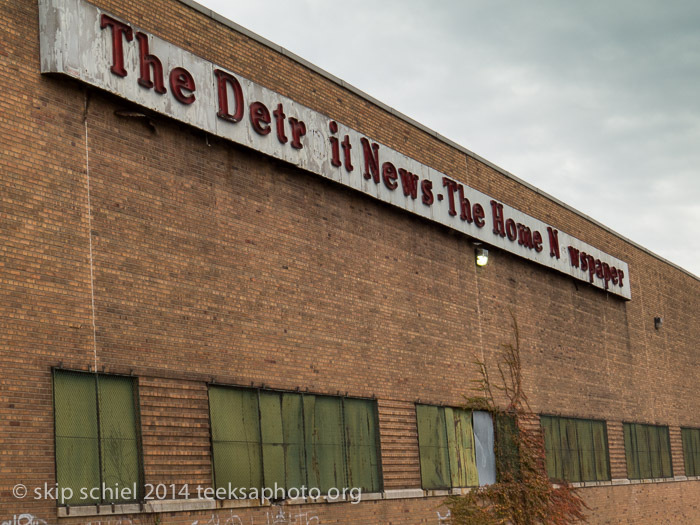 Yesterday, Sunday [November 9, 2014], a day departing from my more usual Detroit days: attend Detroit Friends Meeting in the morning where I met a few people like Peter and Mike who provided photographic leads (later Peter very kindly toured around many parts of Detroit I’d not previously visited and Mike offered me possible use of an extra car), a discussion after meeting with a young woman and man who are part of the Friends of Jesus Quaker group, and generally a chance to exercise my tribal tendencies by linking with local Quakers and discover a home away from home. Since the meeting site is, you might say, inner city, near the river, (West Fort St and Livernois Ave), in an industrial zone (and they hope to keep the meeting located in such a site, after they’ve been forced to move by new bridge construction), by bike I cruised the area and acceded to my strong desire to photograph industrial landscapes. Plenty of them here: a former commercial harbor area, now mostly abandoned; a building with all its window frames scrapped; a mysterious industrial structure about 4 stories tall; a long warehouse without variation; a tall wide building missing all its windows; each structure an icon of Detroit, each a source of beauty—and potential. This was my first experience on this particular trip of free wheeling, spontaneous photography, the type I love to practice best. From Old Fort Wayne to under the international but privately owned bridge. Then thru Mexican Town thinking I might devour a steaming burrito in a small restaurant or café. Nothing. Only one large restaurant which probably had waiters and table cloths and whose burritos might be too expensive for my budget and needs. I found some new construction, small houses, ticky-tacky type, but housing none the less, perhaps in a neighborhood convenient to downtown and possible jobs. Also some gorgeous murals. 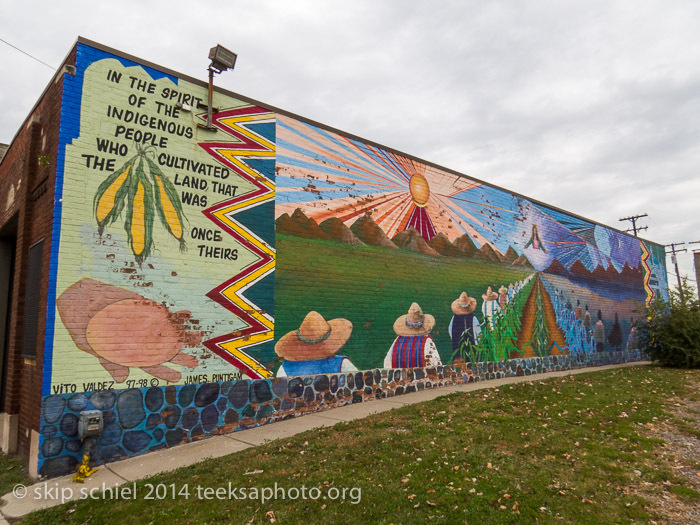 One I made a panoramic photo of, a testimonial to indigenous people. Home finally in the late afternoon, hungry, I feasted on my fish-chicken-lentil combo, beer, coffee, Arabic sweets, and accessories such as stuffed grape leaves from my favorite Dearborn bakery, New Yazmeen. After a nap, I phoned Rich F and when he called back (from Chicago) he was warm and helpful, promising many leads which I see in this morning’s email he’s provided. We have established a vital relationship. This type of photography relies on good contacts—to alert me to photographic possibilities, to inform me about underlying dynamics, to introduce me to otherwise wary communities, and in some cases for protection. Leads provide this and I give back photographs. On Friday, August 4, 2013, Kenneth Peete III, a.k.a. 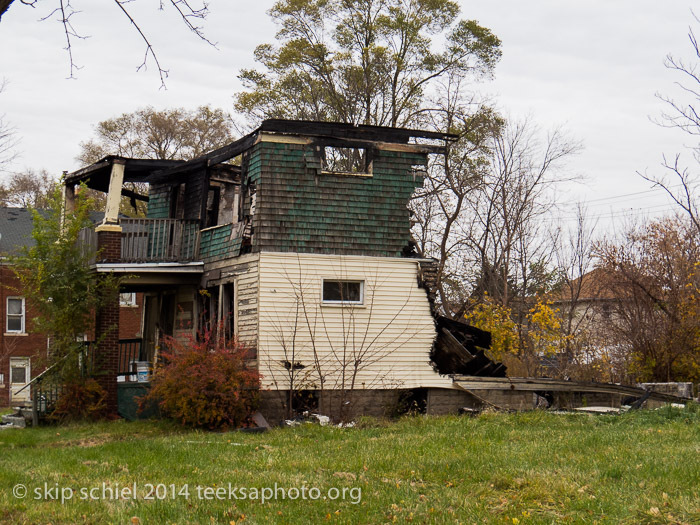 Skip was found murdered in his home on Detroit’s west side. He was found during the early morning hours at West Outer Drive and Santa Barbara. Chilling for sure, especially because we shared first names, Skip, sad also. I find nothing on-line about consequences, expected none. Could be me, I suppose, killed by a robber or because of mistaken identity. Thus I run a risk. Yesterday [November 9, 2014], bicycling home, a minor mishap. I was tired, I was hungry, I was cold, the light was beginning to fade, I was about 4 miles from home. And when I shifted, the bike chain jammed itself so tightly between the freewheel and the bike frame that it stuck. I was rendered powerless. What to do? Free the chain of course. How do it? I had no tools. I was on Grand Blvd. West, apartment blocks nearby. I searched for something strong, maybe wooden, that I could use to pry the chain loose. Wood didn’t work. I wheeled the bike around a corner, into an alley, the area gasping with garbage. Maybe in one of these piles I could find something metal, a tool. First pile—no luck, just clothes, containers, old mobile phones, furniture. Second—none here either. Then finally, searching thru the debris behind one of the empty buildings—was anyone watching, prepared to jump me and steal my gear and bike?—I found a 1 foot length of metal, relatively thin. Would it be strong enough? Yes—it worked. I finally freed my chain, vowing to either adjust the shifter so this doesn’t happen again when I suddenly shift to high gear, or remember to slowly shift into that cruising gear. I had been close to panic. Who could I phone? I thought. Could my neighbor, Johnny, pick me up with his truck? But I don’t have his phone number. Maybe another neighbor, Gloria, could give it to me or get Johnny to the phone. (She doesn’t own a car.). Karen? Lives in Ann Arbor, too far from here. Wink, maybe. All not needed, thank god. Skip’s little adventure, another in a long string. The proposed International Trade Crossing between the United States and Canada will force the Detroit Friends Meeting to relocate. The DFM is currently discussing ideas for a new meeting house and location. The meeting is committed to remaining in the City, but an exact location has not been determined. So why aren’t shovels in the ground? Well, the short answer is bureaucracy. Because it is an international crossing, a presidential permit is needed. The Obama Administration has signaled it is strongly in favor, but getting a permit takes months. After that, there are needed site preparation measures. Building a billion-dollar bridge is a bit more complicated than adding a deck in your back yard. But Roy Norton, Canada’s consul general in Detroit, told me he expects to see actual work begin next year, or in 2015 at the absolute latest (Lessenberry, 2013). Like a suddenly-bright sun piercing the ozone-depleted atmosphere, not incinerating islands and other low-lying lands and peoples, but a burst of light crying out for earth justice, this march was a big event on the minor scale, and possibly—but we might have to wait decades to know—on a major scale: the People’s Climate March yesterday [September 21, 2014] in NYC. I marched with Quakers largely, SF and EM more minutely, a little-light-of-mine among the radiance of some 400,000 people. In turn we were one country among some 150 and one march or rally among some 2,600 that stood or marched or spoke or listened or sat for the earth. 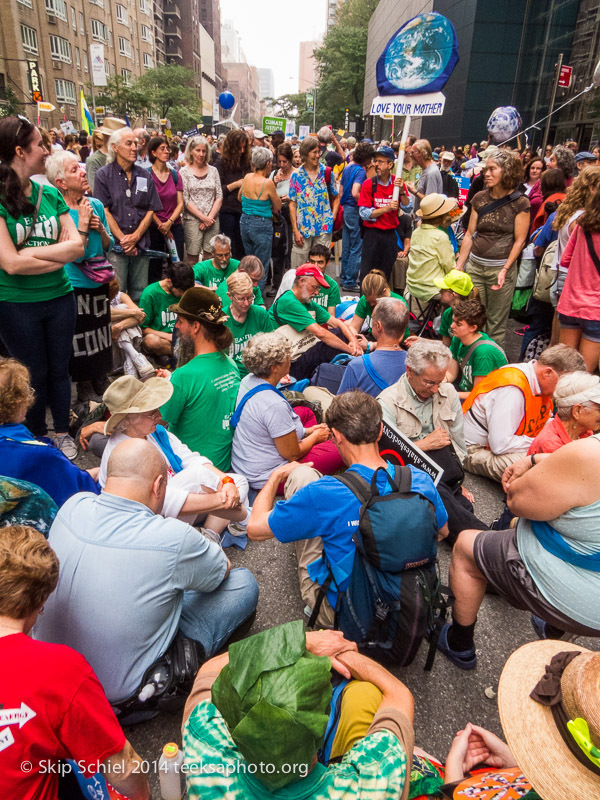 An estimated 300-400 Quakers from across the country marched in the interfaith contingent. Our route thru central Manhattan was less than 3 miles long, which would require less than 1 hour when walking at the usual pace, but we had not marched one step in the first 2 hours, waiting for our contingent, named “The Debate is Over,” to join the main body. We were interfaith, thus Quaker, and scientists. EM and I wore blue sashes, indicative of Quaker affiliation (EM agreed to be an honorary Quaker for the day, even tho her Sisters of the Sacred Heart order were probably not too far from us; SF refused, and might have marched in the interfaith group reluctantly, being such a strong anti-religionist), and we three marched immediately behind the Quaker Earthcare Witness banner. MVB persuaded me to make a group portrait which I will process this morning and send to the Quaker Earthcare Witness head, Shelley Tanenbaum. Marching in front of a group of boisterous college students, mostly from Princeton and the New School, who loudly chanted resistance to the big powers soon to descend on the UN this week to determine policy—probably more of the same, endangering the earth. A group from Bard MBA’s hanging out of window about 4 stories up shouted encouragement. The tall, well-muscled, black man who led singing, notably “Down by the Riverside.” Judging from signs carried by people behind him, I surmised he and they were from the famed Riverside Church where Martin Luther King Jr had delivered his Vietnamese War sermon. This leader’s gusty singing and powerful presence stimulated many others to join in song. Two groups on the border of Central Park that honored us. The first with silent meditation, with their banner, “Earth Vigil;” and a gustier group perched on a rock formation shouting support and waving arms, sometimes in the Black Power Salute. Because of SF’s walking problems, we three rested a few times. This provided the opportunity to view other elements of the march, which would have been precluded if we had remained with our contingent. Not meeting my daughter Joey and boys even tho Joey and I texted and left phone messages constantly. They were in Bryant Park where the march turned west after marching south and had hoped walk with their school, the East Village School, maybe as part of the “We Can Build the Future” contingent which included schools and elders. They may have left minutes before we arrived; perhaps the boys tired. Worried about my post surgery condition and after checking with my surgeon, I happily made the 4 hour each way bus ride and walked most of the march distance without incident. We quit a little early, encouraged by organizers because of the flood of people at the end. I was tired and overloaded with so many people in a relatively small space. Waiting for our bus to leave, I made one last NYC stroll and discovered the Air Pegasus heliport along the Harlem River, a perfect counterpoint to what the march demands: climate justice. Helicopters are a major polluter with their noise, fuel, and fumes. I made many photos. Have I expressed the faith of the marchers? Our belief that this symbolic gesture can help turn human beings from ruining the earth to bolstering it? When asked why I walked I answered, for my 3 grandchildren and for the Seventh Generation. The scarf lining the route between Atomic Weapons Establishment Aldermaston and Burghfield | Photo: Photo: Luke Massey. At this summer’s New England Yearly Meeting sessions with its theme of witness, during the height of violence in Gaza and Israel, numerous Friends expressed deep concern to me personally (who many of you know has been directly connected with that region thru the American Friends Service Committee and other agencies), and in plenaries and interest groups. Yet—a huge yet—not a word that I heard from business meetings. No minutes of concern, no suggested responses, no debate, not even discussion. One possible reason for this silence is the fear of taking sides, or offending people, or diverting attention from proper business, or stepping outside the mandate of “spirituality,” or fostering division. And in our own monthly meeting, Cambridge, speaking out often counters similar resistance. Martin Luther King Jr stated that silence is betrayal, or, alternately, silence is complicity. British Friends during their yearly meeting, 2000 people strong, raised its voice. are they not a model for us? 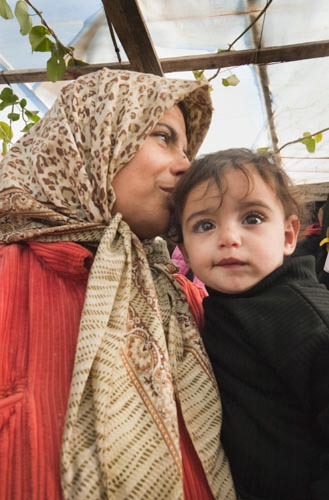 Amid faltering ceasefires and talks, Quakers in Britain are calling for urgent action on Gaza. They urge the UK Government to recognise Palestine as a nation state; they call for a comprehensive arms embargo on all sides in the conflict and for an end to Israel’s blockade of Gaza and occupation of Palestine. 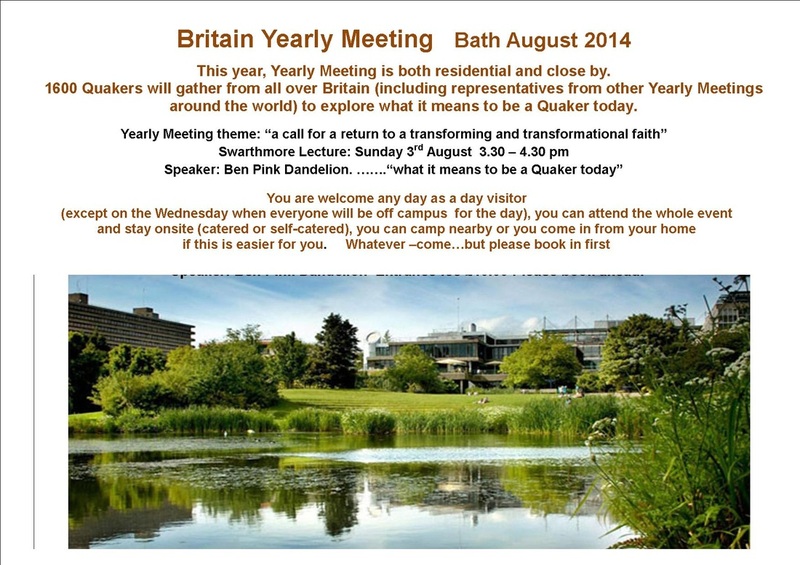 The calls for action come in a statement made by the decision making body of Quakers in Britain, the Yearly Meeting, attended by 2,000 Quakers in Bath. 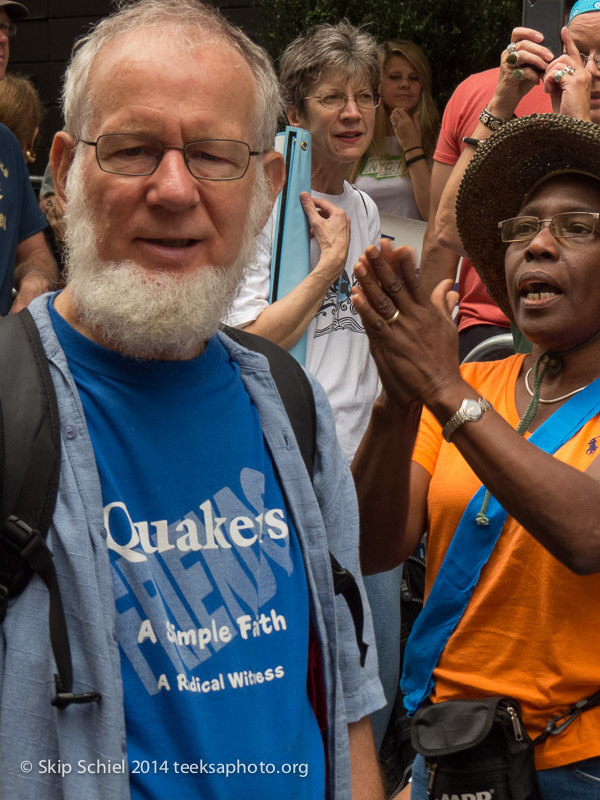 As part of their commitment to peacemaking, Quakers continue to challenge anti-Semitism and Islamophobia. The use of international law to hold all parties to account for their actions…. 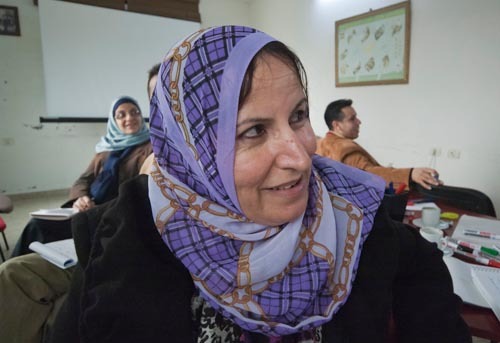 And for general information from a reliable Quaker source: Quaker Palestine Israel Network, and Quakers with a Concern for Palestine and Israel. And from the American Friends Service Committee. 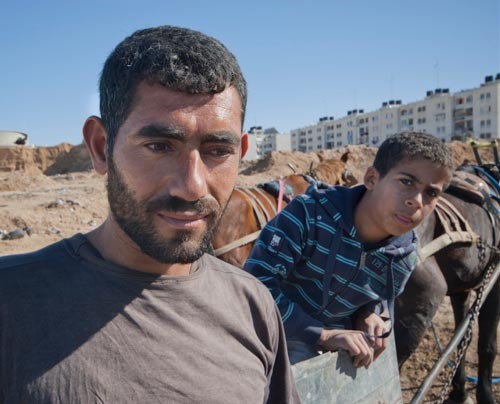 Directed by Tom Jackson of Joe Public Films, the 60 minute movie strives to open eyes and hearts to the reality of life in occupied Palestine. 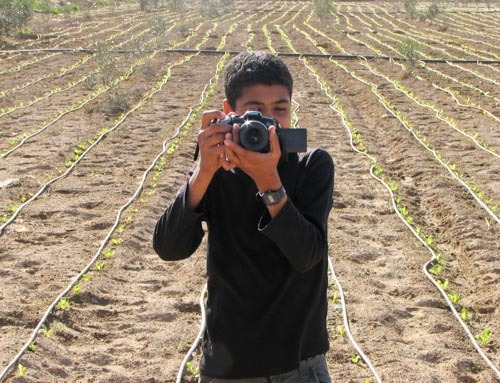 We dedicate our movie to the youth of Gaza, infancy to young adulthood, in hopes that they will soon experience, freedom, peace with justice, and the reality of “All we want is to be ordinary,” in the words of Mahmoud Darwish. 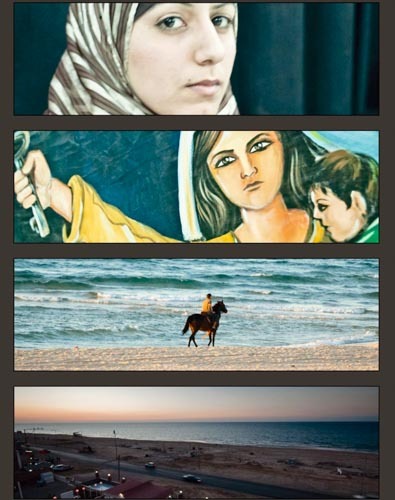 Eyewitness Gaza is a recent documentary movie about Gaza thru the photography of Skip Schiel. 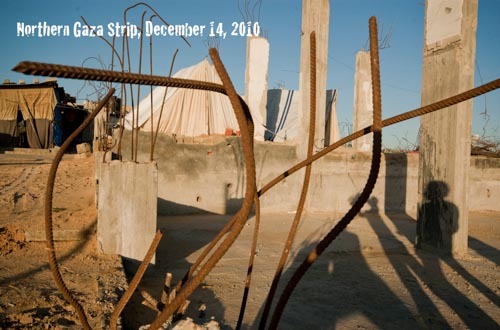 Between 2004 and 2010 he visited Gaza five times, shortly before and after Operation Cast Lead, the vicious Israeli assault on a virtually defenseless people trapped in the Strip and under siege since 2006. Because Israel justifies its ongoing attacks by citing the rockets fired by Gazan militants into Israeli civilian areas (Schiel opposes any attacks on civilians, and generally any use of violence by any party for any reason, an element of his Quaker and Christian beliefs), Schiel visited one of those towns, Sderot. less than 1 mile from Gaza. 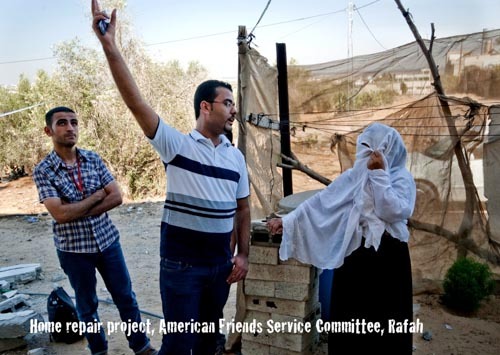 During two recent trips he has gained first-hand experience of life among Israelis, assessed trauma, and supported Israelis who contest some Israeli policies. The movie is downloadable (maybe not with the same quality as on PEG Media, noted below) on YouTube. To order DVD copies of the movie. 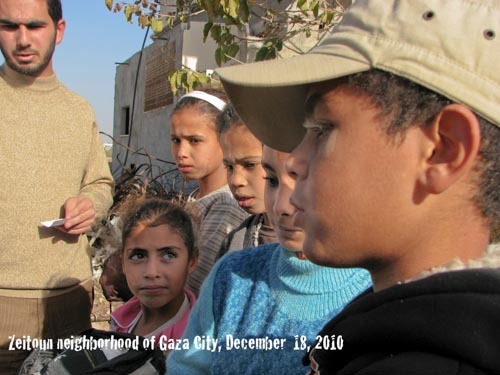 Thru PEG Media Public Access TV stations and producers can download a full version of our movie, Eyewitness Gaza. First register as a user. Then find the fastest and most stable connection possible, though­­ otherwise it will take forever and if the connection is lost, one must begin again. About the movie (with a preview). In addition to this movie, Schiel has published a book by the same title. And maintains a website and this blog. He is also available to tour with his slide shows and photo exhibitions. You can usually reach him at skipschiel@gmail.com and 617-441-7756.